A new fan-made video allows us to see Thanos' Infinity War Decimation in heartbreaking real-time. The clever digital edit takes the footage from the last Avengers movie and puts it across three, and sometimes four, screens and begins with the post-credit scene from Ant-Man and the Wasp. 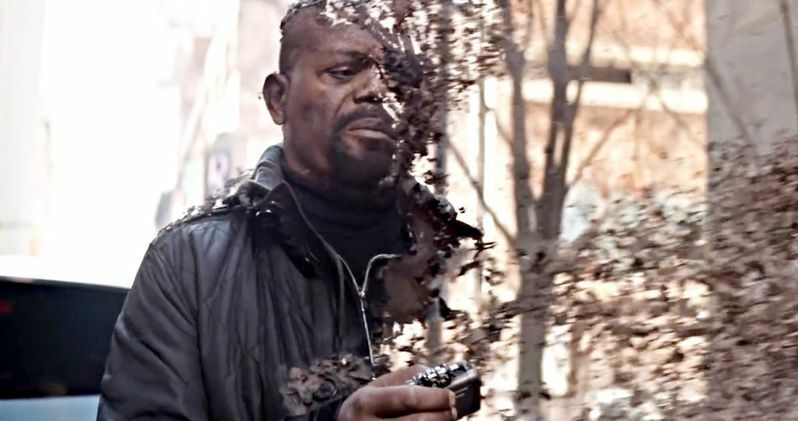 While the video is far from professionally done, it is pretty intense to see some of the world's most beloved heroes all turn to dust at the same time as the Mad Titan retreats to his farm for the start of Avengers: Endgame. The video begins with Thor crashing down from the sky to deliver the Stormbreaker axe into Thanos' chest in Wakanda while Scott Lang is preparing to go into the Quantum Realm under the supervision of Hank Pym, Janet van Dyne, and Hope. Thanos snaps his fingers right when Lang gets into the mysterious realm and then all hell breaks loose. Lang is stuck and starting to panic after believing that it was a joke. We see Nick Fury and the rest of the team all start to fall prey to the Decimation in different screen panels at the same time. Peter Parker turns to dust as Rocket Raccoon reaches out to Groot, while Scott Lang is stuck in the Quantum Realm. Avengers: Endgame sees the return of Lang, but we're not entirely sure how he was able to escape, though there are many fan theories floating around trying to explain how this might happen. Lang is a smart guy, but he's no Janet van Dyne or Hank Pym when it comes to the science department. Janet was trapped in the realm for years, where she learned a lot about it, but she was not able to escape on her own. The Infinity War conclusion is still shocking for many MCU fans, even a year after the movie hit theaters. While a lot of fans assume that time travel through the Quantum Realm will be the answer in bringing everybody back, the Russo Brothers and screenwriters Christopher Markus and Stephen McFeely have teased that we all still have no idea what is going to happen in Avengers: Endgame. The screenwriting team has even hinted that the future of the MCU will be drastically different since everything won't be wrapped up so easily.